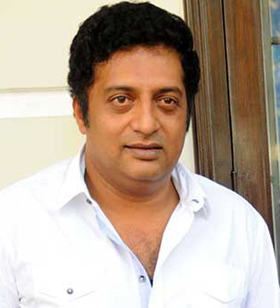 Kota, Oct 8, 2017: The decision of the Dr Kota Shivarama Karantha Hutturu Prashasti Pratishtana, Shivaram Karanth Trust and Kotathattu Gram Panchayat to confer the Karanth Award to senior actor Prakash Raj on the occasion of Karanth Birth Anniversary on October 10, has been now mired in controversy after a leader of Jai Bhargava organisation Ajith Shetty Kiradi posting online that Prakash Raj was not fit for the Award. This opposition stems from the fact that Prakash had recently questioned the silence of Prime Minister Narendra Modi on the killing of journalist Gauri Lankesh. Various organisations too have threatened to oppose if the Karanth organisation does not withdraw its decision to present the award to Prakash. This has landed the Kotathattu Gram Panchayat in a piquant situation. Meanwhile, the Kota unit of the Hindu Jagarana Vedike too has opposed the conferring of the Award and demanded that Rai himself should refrain from receiving the Award. We being in India a democratic country , don’t we have the freedom of speech? Praksh Rai has expressed what he felt , this has nothing to do with the award.